Reflections on the Ring is a vignette about an unexpected turn in a ladies night out. The women have gathered together to share their wedding albums when one woman admits she doesn’t have pictures to share. Instead, she has a love story. Told from author Lori Colombo Dunham’s point of view, her tale is about how she married a man she hardly knew after conceiving his child. Fortunately, he is the kind of guy willing to start (or continue) a family, though she wonders if she’s making a mistake by choosing to share her life with a complete stranger. Through hard work and commitment, the couple make the marriage a success. Sprinkled with quotes from various self-help books and the Bible, each chapter ends with Reflections on the Ring, a few thoughts on what it takes to make a marriage. In a “me first” society with so many examples of Bridezilla stories, it’s refreshing to read about a woman who puts her marriage and her family at the top of her priority list. The Reflections on the Ring provide a nice reminder (or possibly new information) to women who want the same thing. It’s a quick read, and the author will hopefully put it on Kindle. Please visit Martha’s blog regularly. So, was it good? Sure. I’d give it about three to four stars, definitely leaning on A for effort, A for narrative style, and a B for execution. Why wouldn’t I give it five star? Well, I had to slog through a few pages here and there. Have you ever had the prose of a book turn you off? Five pages in, I was going to just stop reading, lie to Daria and say that something had come up and I wouldn’t finish this in time. There were at least two pages of mea culpa that just rubbed me the wrong way. You can follow Declan on Twitter @APiusManNovel. One Supreme Goddess loves Reflections on the Ring! Life is a delicate balance of good times and bad times. You need to celebrate and enjoy the good times when they happen, but you also need to appreciate the struggles as well for they are the motor that keeps you moving forward, keeps you seeking answers in order to grow as individuals. Our struggles seem to be what motivates and drives us to seek our better selves, better lives and better relationships. If we rise to the challenge we generally come out on the other side better people living better lives because of it. This isn’t always an easy thing to understand or accept especially when we are in the throws of such struggles in our relationships. We either grow together in love or we allow the struggles to tear us apart. Even the best of relationships usually encounter difficult times where their choices set the tone of their futures, but when things start out on what we consider to be less than perfect circumstances, often people take what seems to be the easy and most expeditious way out without really considering how that may impact them and even others in the future. 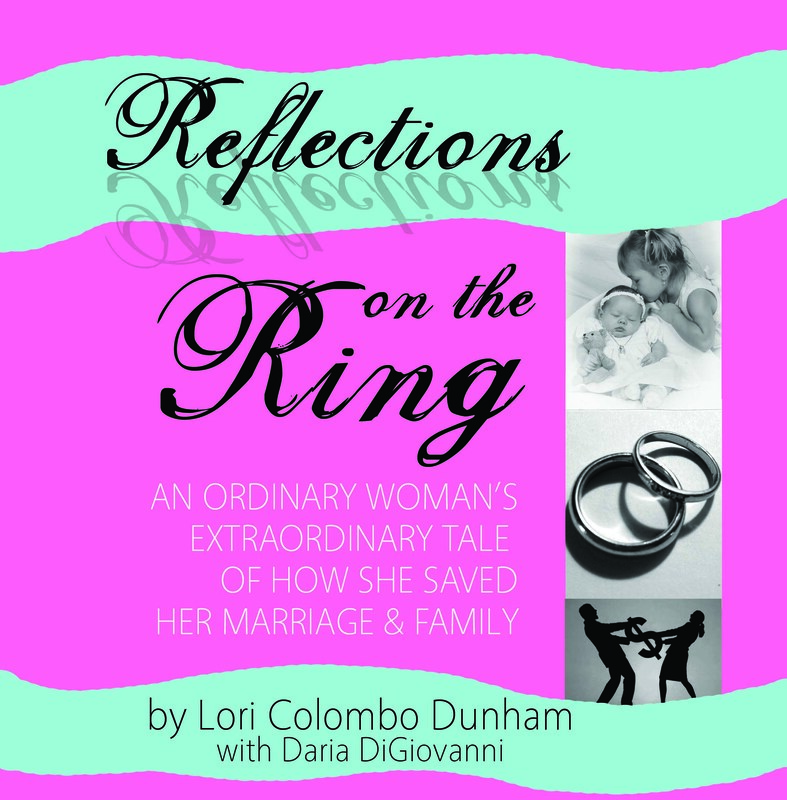 Such was the case that Lori Colombo found herself in and Reflections From The Ring she tells a part of her personal struggle as she describes her journey through an unexpected pregnancy and the resulting difficulties this unexpected situation created in her as a woman, as well as her life, love and marriage. As Lori struggled with the circumstances of her life, she found comfort, love, support and guidance in her relationships with her family and friends, a piece of her Nona’s life, a seemingly random find and the guidance of several people she didn’t even know but who’s influences went a long way towards helping her to steer her path towards her own version of a “fairy-tale” life filled with love, happiness, a wonderful husband and her two beautiful daughters. While the circumstances were less than ideal for Lori, it is a beautiful expressed story of love, life, faith and growth, which I could sincerely relate to. While my own circumstances of life were very different than Lori’s, I can sincerely relate to the struggles she faced along the way as a new bride and a soon to be mother, as well as the strength, support and encouragement of the important people and things that she clung to in order to get her through her struggles. Please visit The Twisters.org to read the whole thing. I am truly humbled by her words and look forward to chatting with the Goddess on Monday night. Hope you can tune in! New Book, Reflections on the Ring: An Ordinary Woman’s Extraordinary Tale of How She Saved Her Marriage and Family, chronicles a wife and mother’s testament to the power of faith in action and the triumph of traditional values. PALM BEACH GARDENS, Florida—In her first book, Reflections on the Ring: An Ordinary Woman’s Extraordinary Tale of How She Saved Her Marriage and Family, Lori Colombo-Dunham reveals how she transformed a shotgun wedding in a sterile courthouse mandated by an unplanned pregnancy into the marriage and family life of her dreams. Having always desired the trappings of an elegant church wedding and lavish reception, the author bravely discloses the “sins” of her past as a traditionally raised Catholic young woman and takes the reader on a simultaneously heartwarming, frustrating, and inspiring journey filled with broken dreams, financial turmoil, marital discord and parental responsibility. It’s a compelling personal story of triumph over one’s own self-directed aspirations and acceptance of God’s perfect — if at first seemingly ‘imperfect’ — plan. “Most women harbor dreams of a fairytale wedding and marriage. And while some do achieve it all, they are in the minority. For most of us the reality of living out our daily lives with another person by our side demands compromise, cooperation and commitment. 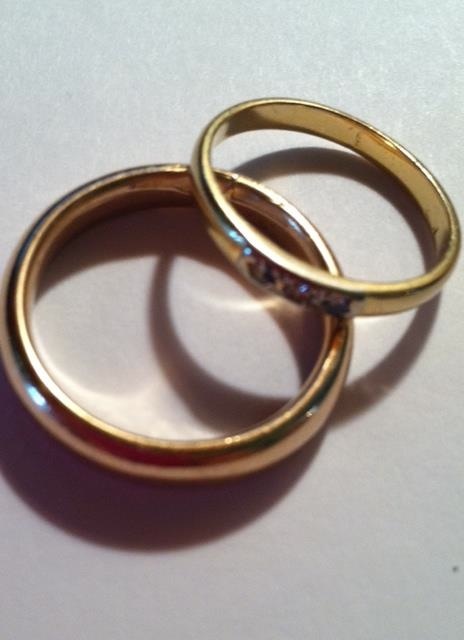 Yes, it takes two to make a marriage, but someone has to take the lead. Why not let that person be you?” Colombo- Dunham asks. One of Colombo Dunham’s passions is inspiring everyday women to stand up and fight for their marriages rather than live lives of quiet desperation or file for divorce. Aside from sharing her own story, she cites specific passages from the books that guided her into taking meaningful action. She ends each chapter with a bulleted summary of best practices and concludes the book with a rousing testament to the power of love, faith, family, friendship, fidelity and persistence. To read a synopsis of Reflections on the Ring: An Ordinary Woman’s Extraordinary Tale of How She Saved Her Marriage and Family visit www.reflectionsonthering.wordpress.com (Paperback, 119 pages, $13.95). 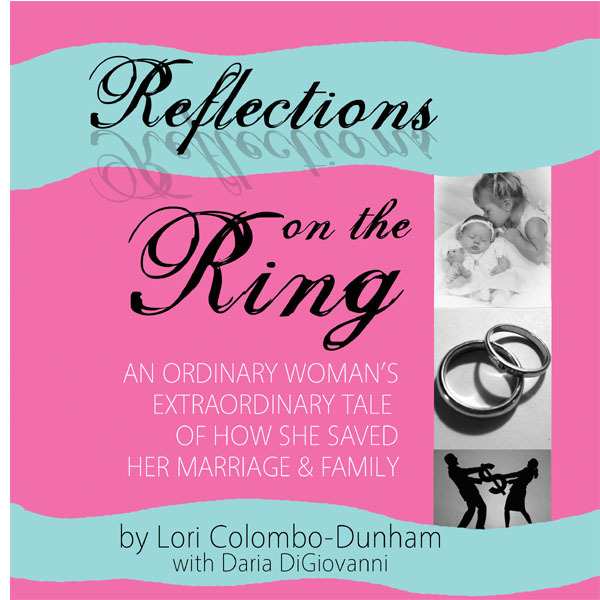 The book may be ordered online at http://www.lulu.com/shop/lori-colombo-dunham/reflections-on-the-ring-an-ordinary-womans-extraordinary-tale-of-how-she-saved-her-marriage-and-family/paperback/product-21309971.html. My friend and collaborator Daria Anne runs the Writestream Radio Network on Blog Talk Radio. 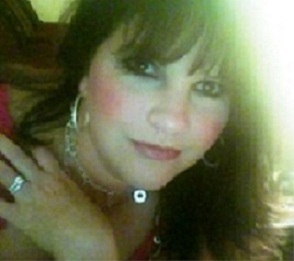 I’ll be her guest on her show Writestream Tuesday on November 26 at 1 p.m. Eastern. This should be a fun interview as we worked on the book for over three years together before finally achieving our goal of publication! I am looking forward to being her guest and hope you can join us for some lively conversation! To listen online, click on this link to the Blog Talk Radio episode or dial (347) 945-7246 to listen by telephone. UPDATE: Did you miss it live? Click to listen to the BTR archive. I’m talking to One Supreme Goddess on Monday, November 25! Like Supreme Sense? Then I think you’ll enjoy listening to my interview with One Supreme Goddess this coming Monday, November 25 at 7:30 p.m. Eastern. You can click on this link to the Blog Talk Radio episode to listen live, or listen by phone by calling (914) 338-1458. I am really looking forward to talking to her and hope to see you there! Tune in to Just Believe with Lisa Tarves and me on November 24! Just Believe host, Lisa Tarves. Looking forward to talking with Lisa about Reflections on the Ring!